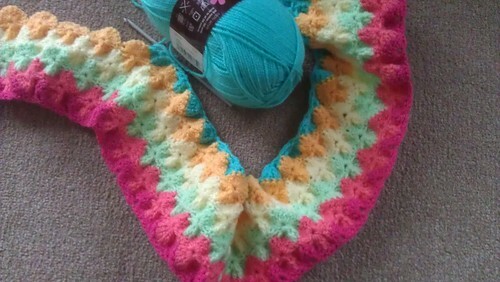 my sarah london (www.sarahlondon.wordpress.com) 'breaking bad' afghan is coming on nicely. its a little on the bright side but i think its kinda fun! !